KUCHING: The run-up to the Parti Pesaka Bumiputera Bersatu (PBB) party election next week reflects the tradition of politics which is strongly entrenched among immediate family members of its deputy president, Datuk Patinggi Tan Sri Alfred Jabu, who is Deputy Chief Minister. Equally active in politics is his wife, Dato Sri Empiang, 69, who is once again given the trust and confidence by the party grassroots to continue helming PBB’s women movement after being returned unopposed when nominations for the top posts closed yesterday. 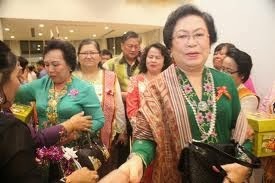 Known for playing an active role in the transformation of the Dayak community in Sarawak into a more modern and progressive one, she is the first Iban woman to become a member of the Dewan Negara, following her appointment as senator for two terms in 2004. Following in the couple’s footsteps is their eldest child, Gerald Rentap, 43, who also won uncontested the PBB Youth movement’s deputy president post after nominations for its top leadership closed. 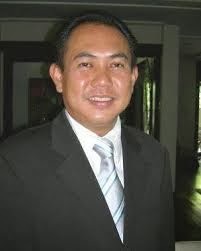 Gerald, who holds a Bachelor of Economics degree from the Australian La Trobe University, is currently executive director of the Kuching-based Utahol Management Sdn Bhd. chief is about the only ‘big’ change in the movement’s hierarchy, which has shown a similar result in the PBB Women movement. Empiang will continue to work closely with her deputy, Datuk Fatimah Abdullah, currently state Welfare, Women and Family Development Minister, after the latter also retained her post unopposed, to lead the party’s women movement to greater heights. Similarly, Gerald, from the Pesaka wing, will also continue PBB’s tradition of unity and solidarity by supporting party Youth chief Datuk Fadillah Yusof, 51, from the Bumiputera wing, in having retained the top post unopposed. Fadillah is also federal Works Minister. 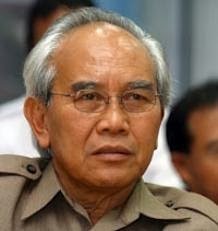 The status quo for the PBB top leadership is also expected to remain with Chief Minister Pehin Sri Abdul Taib Mahmud who is very likely to stay on as party president, Jabu as deputy president (Pesaka wing) and Housing and Tourism Minister Datuk Amar Abang Johari Tun Openg as deputy president (Bumiputera wing).